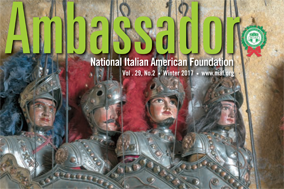 Thanks to the generosity of many dedicated donors, the National Italian American Foundation offers a variety of scholarships to outstanding Italian American students from a variety of academic disciplines and backgrounds. We strongly encourage you to browse the descriptions below of the various scholarship funds to learn more about specific eligibility criteria. Visit our Scholarship Overview page for general eligibility criteria and “how to” instructions. To be awarded to an outstanding Italian American undergraduate student who is majoring in International Relations. This student should have a GPA of 3.5 (or the equivalent) or higher. To be awarded to an outstanding female Italian American undergraduate student majoring in Italian, English, literature or journalism. This student must have a GPA of 3.5 (or the equivalent) or higher. To be awarded to an outstanding Italian American student who is an incoming freshman. This student must demonstrate financial need and have a GPA of 3.5 (or the equivalent) or higher. To be awarded to an outstanding student (undergraduate or graduate) who is studying at the American University of Rome. This student must have a GPA of 3.5 (or the equivalent) or higher. To be awarded to an outstanding Italian American student (undergraduate or graduate) majoring in music or a music-related field. This student must originally be from New York, New Jersey or Connecticut and have a GPA of 3.5 (or the equivalent) or higher. To be awarded to an outstanding Italian American student who is an incoming freshman. This student must currently attend high school in New Castle County, Delaware; Chester County, Pennsylvania; or Delaware County, Pennsylvania; demonstrate financial need and have a GPA of 3.5 (or the equivalent) or higher. 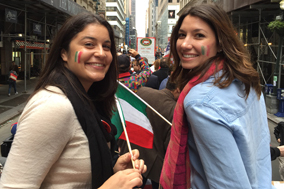 To be awarded to outstanding Italian American students (undergraduate and graduate). This student must a first-generation college student, demonstrate financial need and have a GPA of 3.5 (or the equivalent) or higher. 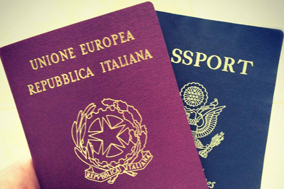 To be awarded to outstanding Italian American students (undergraduate and graduate). This student must demonstrate financial need and have a GPA of 3.5 (or the equivalent) or higher. To be awarded to an outstanding Italian American undergraduate student majoring in business or a business-related field. This student must have a GPA of 3.5 (or the equivalent) or higher. To be awarded to an outstanding Italian American student who is majoring in political science, law (either in law school or declared pre-law in undergraduate school) or medicine (either in medical school or majoring in a medical related field in undergraduate school). This student must demonstrate financial need and have a GPA of 3.5 (or the equivalent) or higher. To be awarded to an outstanding Italian American undergraduate student majoring in journalism, English, languages or communications. This student must have a GPA of 3.5 (or the equivalent) or higher. To be awarded to an outstanding Italian American medical student (either in medical school or declared pre-med in undergraduate school) with a GPA of 3.5 (or the equivalent) or higher. To be awarded to an outstanding student studying abroad in Italy and majoring in fine arts, liberal arts, language or architecture. Students studying through Boston University are preferred. Students should also have a GPA of 3.5 or higher with demonstrated financial need. To be awarded to an outstanding Italian American undergraduate student majoring in business or a business-related field originally from the New York area. This student must have a GPA of 3.5 (or the equivalent) or higher. To be awarded to an outstanding Italian American student who is studying at NOVA Southeastern University in Fort Lauderdale, Florida. This student must have a GPA of 3.5 (or the equivalent) or higher. To be awarded to two outstanding undergraduate students whom have not previously won the Abruzzo Molise Heritage scholarship and are studying at a college or university within a 50 mile radius of Washington D.C. area or are residents within a 50 mile radius of Washington DC. 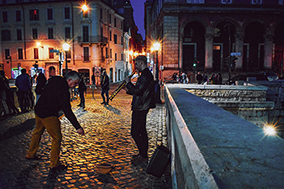 The recipients must either major or minor in Italian language and cultural studies. These students must have a GPA of 3.2 (or the equivalent) or higher. To be awarded to an outstanding Italian American incoming freshman, undergraduate or graduate student. Preference is given to students with a permanent residence in Florida who are not receiving other financial aid. This student must have a GPA of 3.5 (or the equivalent) or higher. To be awarded to an Italian graduate student from Bocconi University who is attending Columbia University’s School of Business to complete their Master’s in Business Administration. This student must have a GPA of 3.5 (or the equivalent) or higher. To be awarded to an outstanding Italian American student from the Palm Beach, Florida area. This student must have a GPA of 3.5 (or the equivalent) or higher. To be awarded to an outstanding Italian American undergraduate student majoring in chemical or electrical engineering, computer science, or a related field. This student must demonstrate financial need and have a GPA of 3.5 (or the equivalent) or higher. To be awarded to an outstanding Italian American student who is a resident of Clark County, NV. This student must demonstrate financial need and have a GPA of 3.5 (or the equivalent) or higher. To be awarded to an outstanding Italian American (undergraduate or graduate) student majoring in film or a related field. This student must have a GPA of 3.5 (or the equivalent) or higher. To be awarded to an outstanding Italian American undergraduate student majoring in Italian, Spanish, or business. This student must have a GPA of 3.5 (or the equivalent) or higher. To be awarded to an outstanding Italian American student (undergraduate or graduate) who is originally from Pennsylvania. This student must demonstrate financial need and have a GPA of 3.5 (or the equivalent) or higher. To be awarded to an outstanding Italian American student (undergraduate or graduate) at John Cabot University. This student must originally be from the Midwest (Illinois, Indiana, Iowa, Kansas, Michigan, Minnesota, Missouri, Nebraska, North Dakota, Ohio, South Dakota, and Wisconsin) and have a GPA of 3.5 (or the equivalent) or higher. To be awarded to an outstanding Italian American undergraduate student attending school in Connecticut and majoring in computer science or a technology related field. This student must have a GPA of 3.5 (or the equivalent) or higher. To be awarded to an outstanding Italian American incoming freshman who is a graduate of a Clark County, NV high school. This student must demonstrate financial need and have a GPA of 3.5 (or the equivalent) or higher. Preference will be given to students with Sicilian heritage. This scholarship is renewable for up to 4 years. To be awarded to an outstanding Italian American incoming freshman. This student must demonstrate financial need and have a GPA of 3.5 (or the equivalent) or higher. Preference will be given to students with Sicilian heritage. This scholarship is renewable for up to 4 years. To be awarded to an Italian American student or a student studying Italian that is enrolled at the George L. Graziadio School of Business and Management at Pepperdine University. This student must demonstrate financial need and have a GPA of 3.5 (or the equivalent) or higher. To be awarded to an outstanding Italian American student who is majoring in law (either in law school or declared pre-law in undergraduate school). This student should have a GPA of 3.5 (or the equivalent) or higher. To be awarded to an outstanding Italian American student (undergraduate or graduate) originally from the state of Nevada. Preference is given to those students who are majoring in International Relations or a related field. This student must have a GPA of 3.5 (or the equivalent) or higher. To be awarded to an outstanding Italian American incoming freshman or current undergraduate student at Villanova University and preferably from northern New Jersey (from Bergen, Essex, Hudson, Morris, Passaic, Sussex, Union or Warren counties) originally. The student must have demonstrated financial need and have a GPA of 3.25 or higher. To be awarded to an outstanding Italian American medical student (either in Medical School or declared Pre-Med in undergraduate school). This student must have a GPA of 3.5 (or the equivalent) or higher.